The invisible pink unicorn is a symbol of atheism and therefore is a threat to all gods and, therefore, all heroes. They are the sisters of the flying spaghetti monsters and are just as, if not more, powerful and deadly. Invisible pink unicorns have great spiritual power. We know this because they manage to be invisible and pink at the same time. These creatures are relatively peaceful and many will walk straight past you and do you no harm. It is unlikely that you will ever see one but they are around and, because they represent atheism must be destroyed by heroes. The best way to kill an invisible pink unicorn is to place a pile of chocolate,candyfloss, sweets and various stuffed animal toys on the ground as bait and wait for an invisible pink unicorn. Stand behind a tree and watch the heap of cute things through binoculars until you get bored. Then rush towards the bait screaming loudly and waving your weapon around. You will probably have hit an invisible pink unicorn and, even if you haven't, there is no way of proving that you didn't so who cares? Also these instructions are not relevant if you are near Beerburgh where invisible pink unicorns are most plentiful. When close to Beerburgh you only need to swing your weapon around and you will have a good chance of hitting an invisible pink unicorn. Occasionally you might be confronted one of these creatures in battle mode. When an invisible pink unicorn goes into battle mode it becomes a pink unicorny shape. It becomes more powerful and harder to kill. 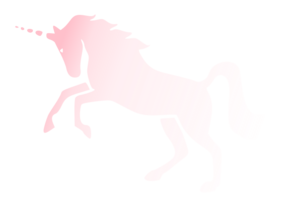 An invisible pink unicorn in battle mode can switch between visibility and invisibility at will and can use magical powers and its horn in battle. Your best bet is to try to escape. This page was last edited on 20 February 2019, at 13:24.